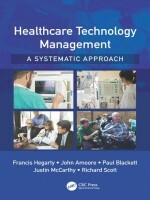 Healthcare Technology Management: A Systematic Approach offers a comprehensive description of a method for providing safe and cost effective healthcare technology management (HTM). The approach is directed to enhancing the value (benefit in relation to cost) of the medical equipment assets of healthcare organizations to best support patients, clinicians and other care providers, as well as financial stakeholders. The authors propose a management model based on interlinked strategic and operational quality cycles which, when fully realized, delivers a comprehensive and transparent methodology for implementing a HTM programme throughout a healthcare organization. 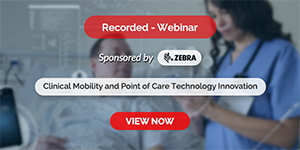 The approach proposes that HTM extends beyond managing the technology in isolation to include advancing patient care through supporting the application of the technology. The book shows how to cost effectively manage medical equipment through its full life cycle, from acquisition through operational use to disposal, and to advance care, adding value to the medical equipment assets for the benefit of patients and stakeholders. This book will be of interest to practicing clinical engineers and to students and lecturers, and includes self-directed learning questions and case studies. Clinicians, Chief Executive Officers, Directors of Finance and other hospital managers with responsibility for the governance of medical equipment will also find this book of interest and value. • Codifies a standard generic approach to HTM which has been cross-referenced with key international standards, linking specifically to the international ISO 55000 series of Standards on Asset Management. • Promotes a systems engineering approach to HTM and healthcare systems. • Describes managing medical equipment in such a way as to add value for patients, clinicians, healthcare organizations and financial stakeholders. • Focuses on the patient as well as on the technology. • Offers a twin-pillar approach, covering both asset management and advancing care. • Includes practical examples of HTM using illustrative case studies linking the chapters. • Includes ‘self-directed learning’ to encourage readers to think more deeply about the material and how to improve their professional practice. • Provides fully international coverage.